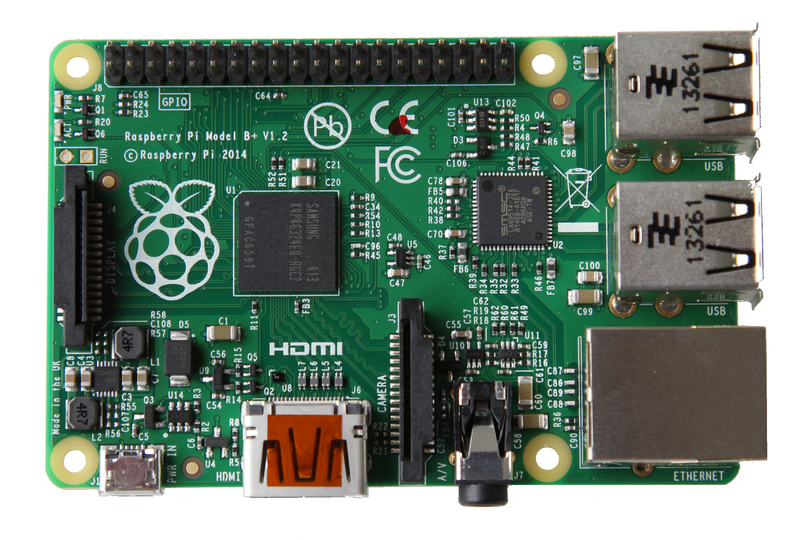 Earlier today the Raspberry Pi Foundation announced a new board. Perhaps somewhat unexpectedly however, it’s not a board to replace the current model B, but a B+ board, and it’s what the model B should have been all along. In the two years since the launch of the original Pi there have been a lot of complaints about how the board was put together, although none of these problems have ever seemed to have any impact on the massive success of the board itself. However the new model is aimed at putting all of these problems to rest, once and for all. The new model B+ uses the same Broadcom BCM2835 processor as the Model B, and still has 512MB RAM—while 1GB package-on-package (PoP) memory is feasible it’s not yet commercially available—making the most obvious difference between the two boards the addition of two extra USB ports. There are a lot of other changes behind the scenes to support this new addition. The routing on the board has been much improved making more power available to the USB sockets—at least providing your power supply is capable, and because the board now comes with a low voltage indicator which will turn the power LED off if the supply voltage dips below the required 4.7V this is now something you’ll be able to tell immediately. The USB sockets have been blocked from “back-powering” the rest of the Pi—which will prevent some of the issues with powered external hubs we’ve been seeing—and should have a lot better hotplug behaviour. The ports should also now have enough current available to run some of the more power-hungry USB devices like portable hard drives. However that isn’t the only power optimisation made to the new board, the linear regulators of the original model B have been swapped out for switching ones—reducing the power consumption of the board by somewhere between 0.5W and 1W. The other obvious difference to the board, beyond the two additional USB ports, is the GPIO headers. The new board now comes with 40 GPIO pins, although it maintains backwards compatibility with the original model B as the first 26 pins have the same pin out as the original board—most existing GPIO boards will fit right on top of the new board, abet with some wiggling. What this does mean is that you can (probably) use an IDE cable to connect to new boards GPIO headers without any modification, which is pretty nice. 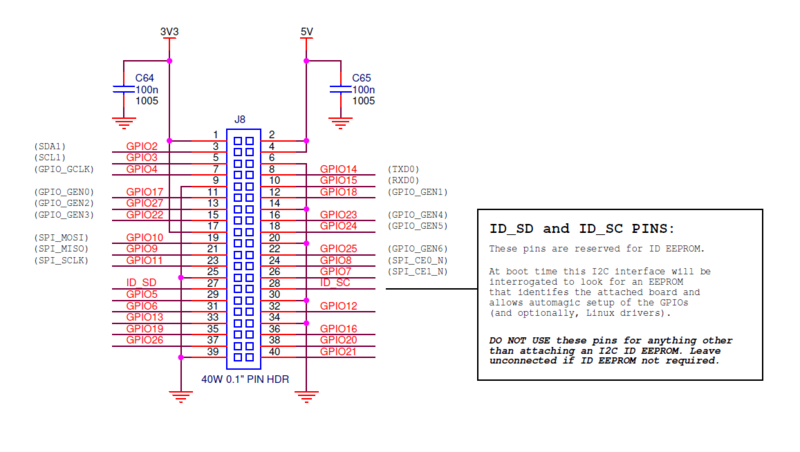 The B+ GPIO header now has 40 pins. Overall the board has just been tidied up and looks a lot more professional than the original model B. The original friction-fit SD card socket has been replaced with a push-push micro SD version—much like the one found on the Beaglebone Black—while the audio circuit now incorporates a dedicated low-noise power supply. The USB connectors have been aligned with the edge of the board and the composite video has been moved onto the 3.5mm jack. 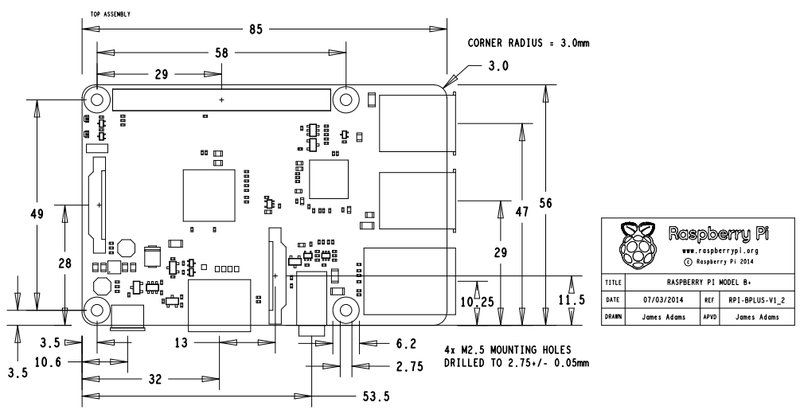 The board itself now has rounded corners and proper mounting holes. Overall the new board is a big improvement on the original model B, addressing many of the concerns of the community while maintaining both hardware and software backwards compatibility with the original board. Along with the recently released Compute Module the new board certainly strengthens the Foundation’s line up against growing competition in an increasingly crowded single-board computer market. For those that need it—and to support industrial customers—the Foundation has said that the original board will stay in production “as long as there’s demand for it.” Considering the improvements I think most people in the community will move to the new board as soon as they can, and that demand will drop off fairly quickly. However despite the Foundation’s reassurances, it seems that Farnell at least has already removed the original model B from their website and have stated that “they are not going to stock them any more.” So if you want an old-style model B, you should probably pick one up while you still can. The new model B+ is available immediately, and is the same cost at the original board. Update: The original model B is now marked as “out of stock” by RS. This, combined with Farnell’s statement that they will no longer stock the model B, unfortunately does throw some doubt onto the Foundation’s reassurances of continued supply of the original model, and you have to wonder whether there is any product still in the production pipeline at this point? and that “they will be back.” So it looks like while long-term supply is assured, there might be some short-term availability issues with the original board as there will be no production of the model B for at least a month.